Dug up some pics of my old bike. *SIGH* Good times. Here she is. My 1994 ZZR400. 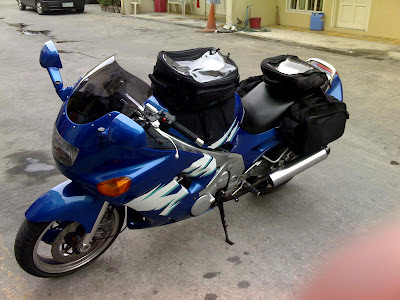 Had her outfitted with an Oxford tank bag, Oxford tail pack, and a pair of locally made panniers. Sorry. Stupid index finger got in the way. 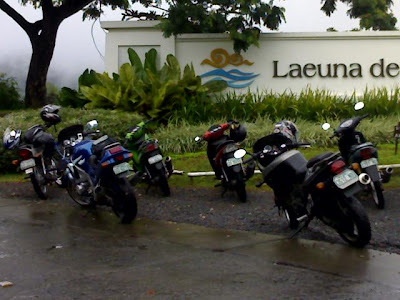 This is my bike along with others in Laeuna De Taal in Tagaytay. 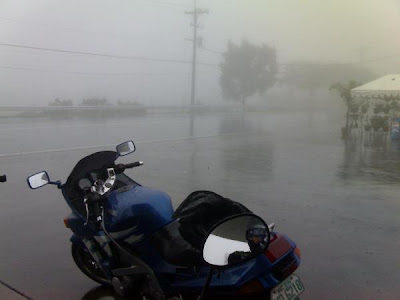 Trying my hand at cornering on wet roads in Marilaque. Marilaque again. Yes, I have a goofy smile. Wow you guys are nuts! So you say old bike, where is it now? @vhk510 - I'm not really a racer. God knows I don't have the skills for it. I'm more of a sports tourer. My buds tease me that I ride a sports bike, but i ride it like a cruiser. I go slow and pick the scenic routes. 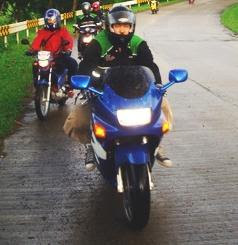 Soprts touring isn't really big here in the Philippines. Everybody's into racing this and Ralentino Rossi that. So I never really fit in. Hehehehe. @fragileheart - Yea, looking back it WAS nuts. We were only doing 30Kph and had all the lights on, and we were honking at each other every 3 seconds to know where the other rider was. The visibility was like what... 7 inches? Hahahaha! It was hilarious! I'll never do that again. Oh, and I sold her already to help my mom pay the rent. 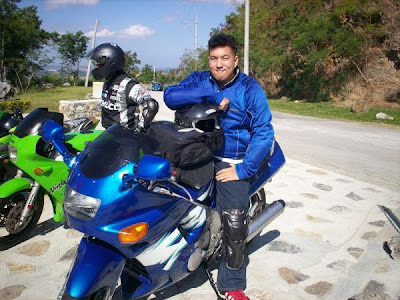 Handsome----bike! ^^; You're not dropping droppings lately. Been hella busy man. Pops had to be driven to the hospital. I'm in a cafe as we speak.